Two way traffic ahead. 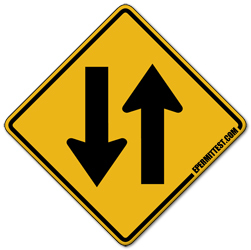 You are leaving a separated one-way roadway and entering a two-way roadway. Also used to remind drivers they are on a two-way road.